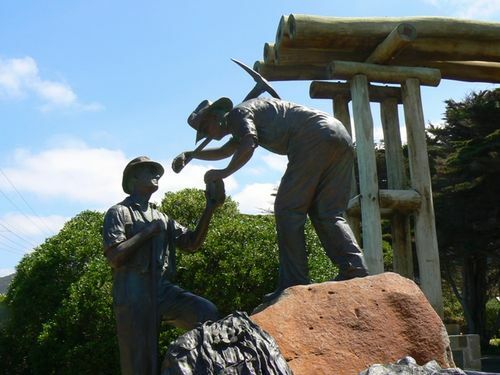 The Diggers Sculpture was unveiled to commemorate the 75th Anniversary of the Great Ocean Road. The sculpture commemorates the soldiers who built the Great Ocean Road as a memorial to their comrades who were killed in action or died in service during World War One. Ocean Road as a memorial to their fallen comrades. This memorial was funded by the Geelong Community Foundation in association with Great Ocean Road Marketing Inc, Department of Veteran Affairs, Surf Coast Shire and Vic Roads. Sculpture by Julie Squires.